Now you can Join Pakistan Army Through Lady Cadet Course 2019 As Captain (Lady Cadet Course). So if you are a female and want to grow your future with Pak Army to serve the country then the LCC allows you to join Pak Army as Captain 2019. All the Pakistani females holding the degree of bachelors and masters can apply for Pak Army as lady captain. 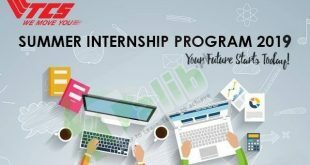 There is some basic eligibility which is necessary for each and every female to qualify so that they can be considered as an eligible candidate. 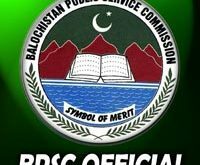 So here below this page, you will get this eligibility criterion, requirements, How to apply and about physical test information according to the officials. 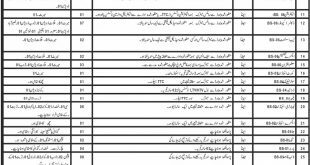 You just need to read this entire page including all points and analyze yourself that you are eligible for lady Captain in Pakistan Army 2019 or not. If you find yourself eligible and suitable for Join Pakistan Army Through Lady Cadet Course 2019 As Captain. You have two ways to apply for this that is one is online registration which can avail through this page bellow; the second way is your nearest Army Selection and Recruitment Center AS&RC. So scrolls down this page and make sure that you are eligible or not and then perform further tasks before the last date. The following eligibility criteria are necessary for all applicants. 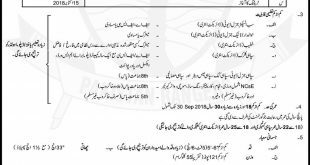 If you want to join Pakistan Army as captain 2019 through Lady Cadet Course (LCC), then you must have to fulfill the following eligibility criteria. After attaching these required documents with your application forms resubmits it to the same office AS&RC. After registration, all the females will attempt the Army entry test for Female captain through Lady cadet course. The written test will be taken out for them subjects of Engrs, Sigs, ASC, Ord, EME, AEC and ICTOs. Those females who will pass in this entry test will be promoted to the next level. This next level is the physical test in which candidates have to achieve 1.6 km in just 14 minutes. 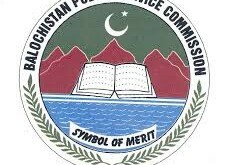 All those females who achieve this distance in the given time will be hired to the final selection process that is (Inter Service Selection Board) ISSB test. 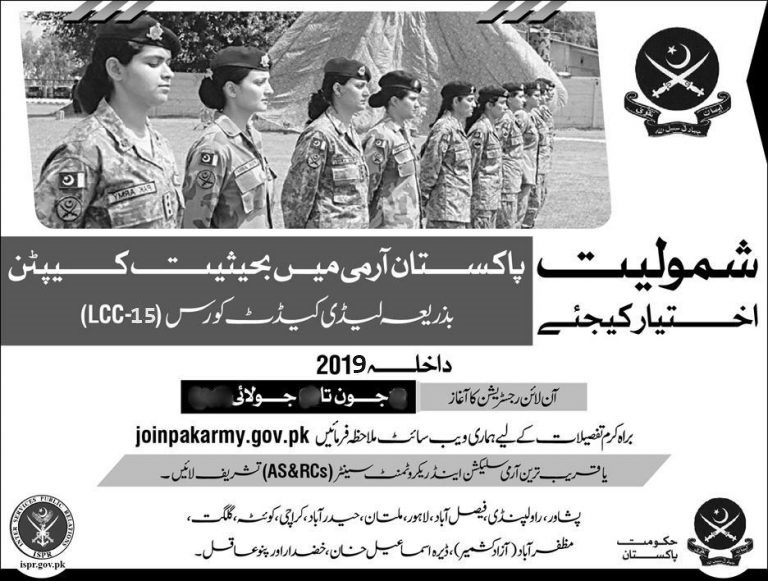 So this is all about Join Pakistan Army Through Lady Cadet Course 2019 As Captain, If you also have the interest to be a part of Pakistan Army then visit your nearest Army Selection and Recruitment Center AS&RC. I am doing Bs Microbiology and molecular genetics can I apply as captain,??? Assam o Alison I complete my matrix level in science and now I’m going to ICS can I apply for army? I am doing bs biotechnology and bioinformatics can i apply??? 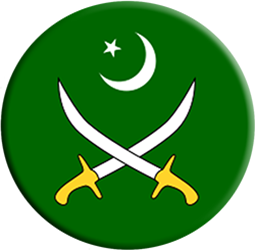 Plz tell me full procedure to join pak army as lady captain.plz plz pleeeezzzz.meri age 23 hai.mene parha ap k page pr k 28 years se start h.me kya karun plz tell me.mje abhi join krna h.
women of Pakistan are brave. Plz tell me,about female captain ? i have done bs psychology.can i apply for lcc? 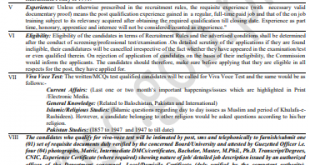 Assalam o Alikum i have don my MA in Islamyat so can i apply for this job?